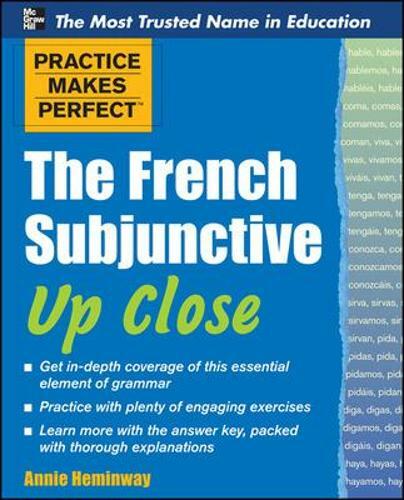 Practice Makes Perfect: The French Subjunctive Up Close puts the spotlight on this tricky grammar trouble spot. It boasts plenty of opportunities for practicing your language skills, as well as extensive examples based on a conversational style that will keep you engaged. The book also features a unique answer key that gives you more than just a listing of correct answers; it clues you in on the "why" behind them.